There has been a lot of bad information security news in recent weeks. Open source technologies that weren’t as secure as everyone would have liked (but they’re free, so…); malware and hackers coming up with nifty new ways to make life miserable for everyone; and data breaches. Lots of data breaches. It’s hard to keep pace with the pace of the news. Every time I think I have a good idea and prepare to write a blog, something distracts me for just long enough to make the thought obsolete by the time I get back to what I was doing. That’s not a good rhythm for a blogger to get into, but I’m being transparent. This morning, however, I came across an article in Forbes that caught my attention and I decided to pounce before it was no longer relevant. That is to say, before my thoughts on the article were no longer relevant. In other words, cybercrooks are innovative, but they are lazy. They’re more than capable of swiping all kinds of stuff, but if you make it harder for them to get at your stuff, there’s plenty of other stuff out there for them to exploit. So don’t you be lazy. Protect what’s yours. Good advice. Encryption is easy, and while nothing is fool-proof, encryption works. And it is the best tool available to adequately protect sensitive information, making it more difficult for the bad guys. From the outset we’ve said that organizations and individuals need to take greater responsibility for their information security and document protection. And we’ll keep saying it. 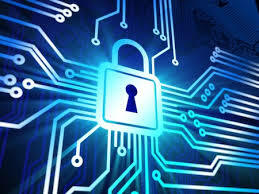 And we hope that more of you will continue to use HoGo as one of the tools to protect your sensitive information.